YOUR THRIFT SHOP DOLLARS AT WORK! All you faithful thrift shoppers have been buying up a storm! We know what you’ve been doing with all those tops, pants, housewares, and toys you’ve been buying. But we thought YOU’D like to know what WE’VE been doing with the money from our thrift shop sales over the past couple of months. We’ve been spending your dollars on our annual “Operation School Bell” philanthropy, which kicks off at the start of every school year. (You may have been at the shop during one of our OSB “Meet & Greets,” and seen families with exuberant school-age kids heading upstairs to our 2nd floor community resource center to meet with our OSB committee.) Operation School Bell provides school clothing and school supplies to low-income students in the Irvine Unified School District, from pre-K through 12th grade. We’ve been helping qualified IUSD students through OSB since 1990. Every child is allocated a set amount of money to purchase school clothing, on a sliding scale from $75 to $125 depending on grade level. Families come to a “shopping event” at our partner retail store, Target North on Jamboree and Irvine Blvd., to pick out their clothing, and ALI pays Target when they check out. 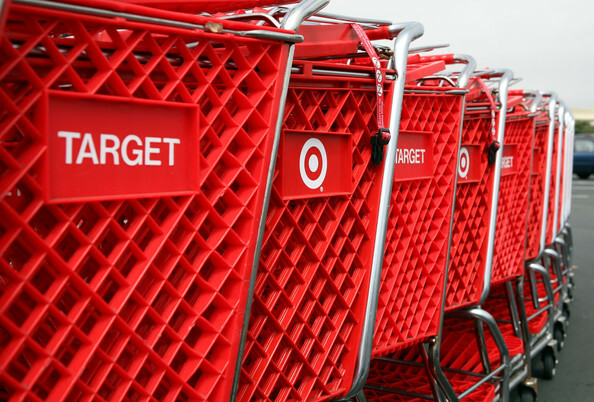 Target provides us with an additional 5% off every transaction for using our Target Redcard, and also extends us a tax exempt status discount. At the introductory “Meet & Greet,” each student gets a backpack, school supplies, a set of personal care items, and an age-appropriate book to take home. Each family with school-age kids receives a dictionary, and our littlest pre-K people get to pick out a stuffed animal. We also provide parents with information on other resources for low-income families, such as vision care, dental care, the 211 resource guide, and our own scholarships for Irvine Valley College and SAT test prep for high-school students. And we give each family member a $5 gift card to our thrift shop – because everyone should have something new and fun from the thrift store for back-to-school! NOW FOR THOSE STATISTICS – YOUR SHOPPING DOLLARS AT WORK! We’ve clothed 662 children since August, when the year-round schools started. All the money for these 662 kids came from YOUR thrift shop purchases. Shoppers, that’s a lot of $5 tops and pants! We appreciate every one of you who supports our shop and helps us get these students ready for a successful school year.